Today I have the BEST SALAD EVER to share with you!! I am so psyched, I can hardly wait to tell you about it [even though it is not original at all. But that’s okay.] But first, this recipe qualifies for not just one, but two challenges. Woohoo! First of all, I created this recipe for Mystery Dish. But since it includes a fantastic homemade ranch dressing, it also helps fulfill one of my 30 before 30 goals. Score! This month for Mystery Dish, Chez Catey Lou is our host. Cate is so sweet and gave us such a creative list to work with! We had to use at least two ingredients from this list: raspberries, peanut butter chips, edamame, lemon, yeast, whole wheat pastry flour, bacon, buttermilk, basil, and zucchini. There were a thousand ways I thought about going [I probably say that every month…sorry] but my craving for a salad won out in the end. 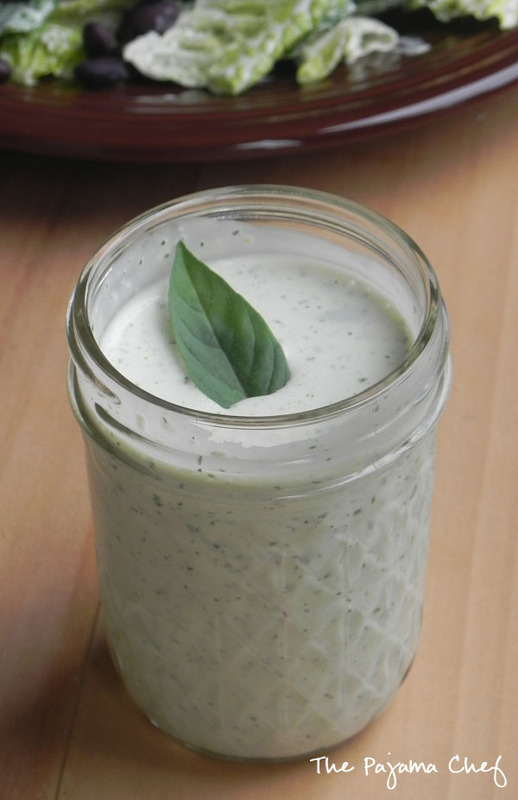 I used a few of Cate’s ingredients [lemon, buttermilk, and basil] to make an awesome Jalapeno Ranch Dressing to dress up a BBQ Chicken Salad. 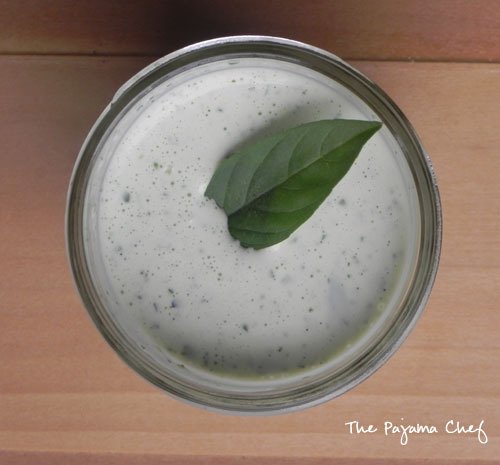 I have long searched for a good homemade ranch dressing. I’ve made this recipe once before and let me tell you..it’s a keeper! It’s creamy, spicy, and best of all… clean! No weird mystery ingredients in the powder, thankyouverymuch. The key to this recipe is the jalapeno. It just elevates this creamy, herby dressing with a bit of spice. Oh so good! You know what else is good? This salad! I know a zillion restaurants have variations of BBQ Chicken Salad and this was mine. I just used seven ingredients so it’s pretty basic: lettuce, chicken, BBQ sauce, corn, tomatoes, black beans, and ranch dressing. You could also add avocados, onions, bacon, or anything else that strikes your fancy. I kept it simple though so the flavors could really shine. You will really want to make it again and again. One bite of this and Ben was swooning. Seriously! This is a man’s salad, and definitely fancy enough for a restaurant. Hope you enjoy it as much we do! Stir together chicken and bbq sauce in a skillet set over medium-low heat. Heat for 5-7 minutes or until heated through, stirring occasionally. Meanwhile, toss together romaine lettuce and Jalapeno Ranch Dressing in desired amounts. Divide lettuce between four plates, then top each with a quarter of all ingredients: chicken, tomato, black beans, and corn. Toss together and enjoy! Place all ingredients in a blender or food processor and pulse until smooth. An immersion blender works great! Dressing thickens in the fridge so add some extra buttermilk before serving leftovers as desired. 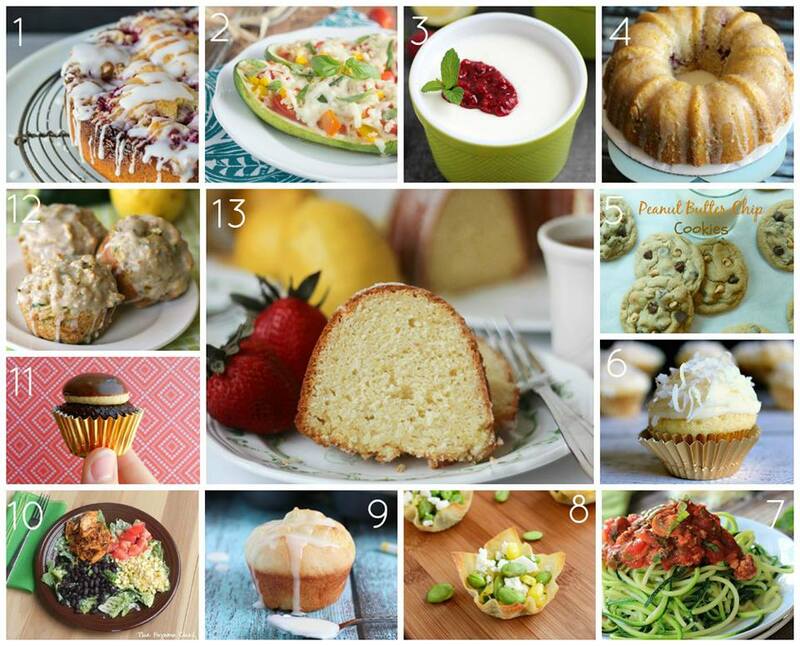 Please check out the other awesome recipes from this month’s Mystery Dish! bbq chicken salads of some sort are pretty much my go-to at american-style restaurants. unless i want chicken fingers. haha. thanks for the pin! 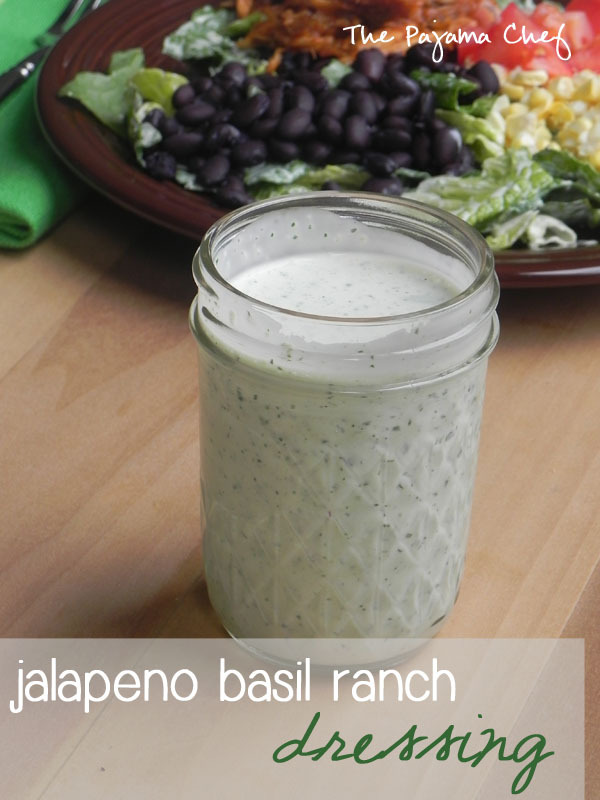 Jalapeno Ranch dressing is very intriguing! I bet the thickened version would make a great dip as well. This salad looks delicious! yes, i’m sure that would be an awesome dip. maybe w/ wings? yum! thanks! This dressing sounds fantastic, and perfect with barbecued chicken! Love the addition of corn and black beans. Yum! This is making the crappy can of soup I had for lunch look even crappier! I NEED this salad!! Your Jalapeno Ranch sounds amazing! Oh wow, this salad looks AMAZING! What an awesome use of the ingredients you chose. YUM! What a perfect salad! It looks delicious, and that dressing sounds seriously amazing! I would love this for dinner any night of the week! thank you, cate! we just had it again this week. i added peaches… yum! Yum!! I’m swooning just looking at it! Good job checking off another thing on your 30 by 30 list! I’ve only got 1 on my 40 by 40 – gotta get with it! oh girl…i am SO behind. seriously. i’ve gotta get going- i only have like 10 months left, haha. Homemade ranch is on my bucket list too!! This looks amazing. I love the salad. Can’t wait to try! Don’t you love when you have the best salad? Good question! I wouldn’t count on it lasting more than a week. If it makes too much, you could cut the recipe in half. Hope that helps!